Looking for an old-fashioned fun? Head down to Sylvan Beach Amusement Park and check out a carnival-style, family, theme-based, thrill seekers, and water park. 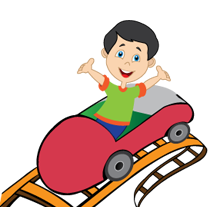 Sylvan Beach Amusement Park offers kiddie rides, roller coasters, thrill rides, and transportation rides. Loaded with old-fashioned fun, attractions include an old-time carousel, bumper cars and boats, roller coaster, food vendors, and arcades. Great fun for all ages. Rides, cotton candy, ice cream. Sylvan Beach has it all plus swimming and music too. The nightlife is just as much fun as the day time. The arcade is huge, check out Laffland, it's one of those old-fashioned haunted house-type-rides with wooden things that pop out. Very good vintage fun! Click here to view ticket prices and discounts.